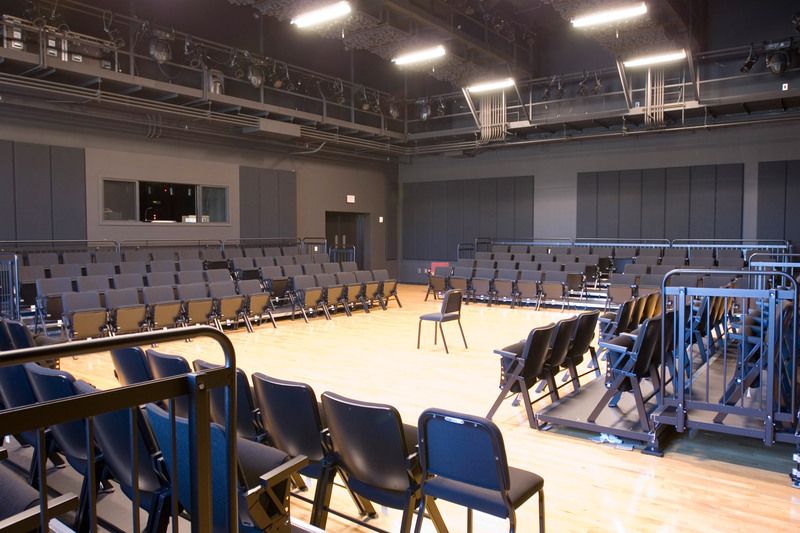 The Murray Arts Center is a suburban arts venue located outside Atlanta, GA in Kennesaw. 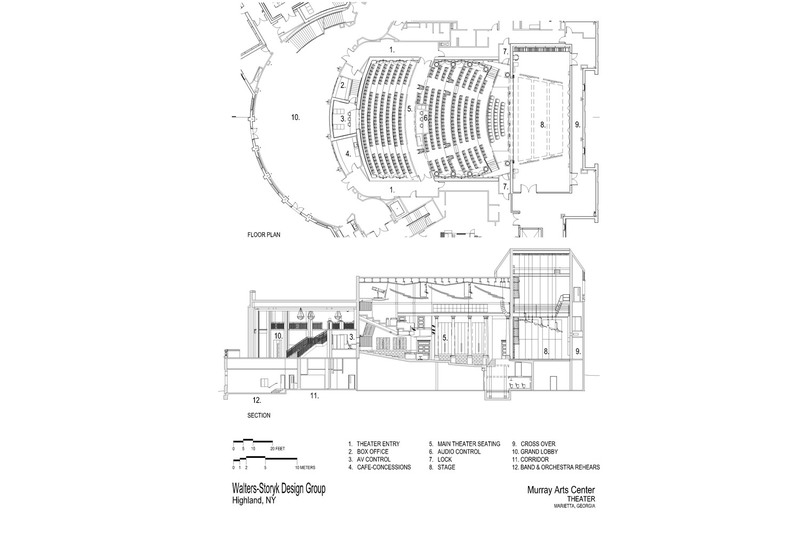 It contains a 600-seat theater alongside a smaller theater, three dance studios, a rehearsal space and a recording space. 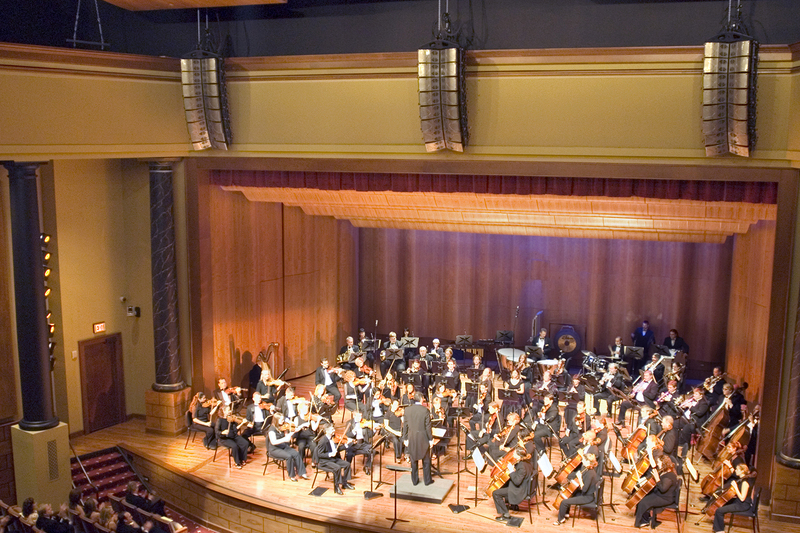 The venue hosts local and national touring acts and also serves as home for the regional Cobb Symphony Orchestra. 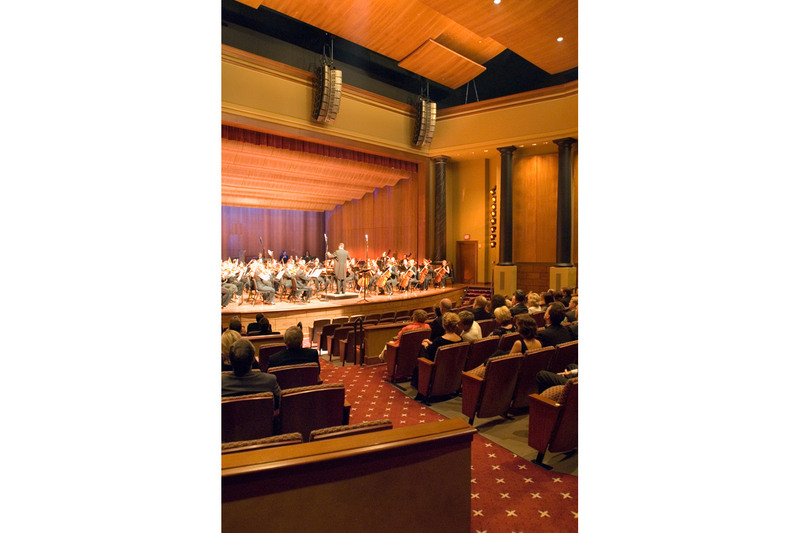 The region of Cobb County, GA has seen a significant upsurge in suburban arts activity as regional theaters in Roswell, Duluth and Marietta continue to do well. 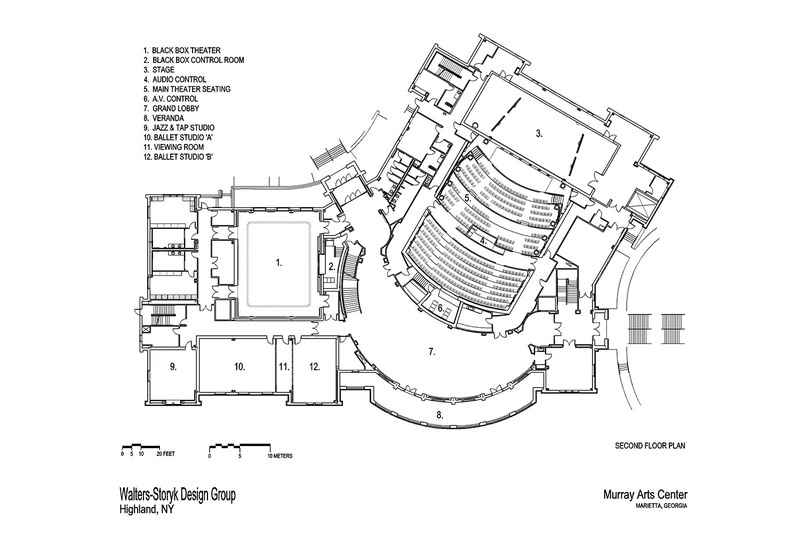 Murray Arts Center, built on a 12 acre spread and containing a total of 85,000 square feet, was designed to flexibly accomodate the increasing artistic activity in the region. 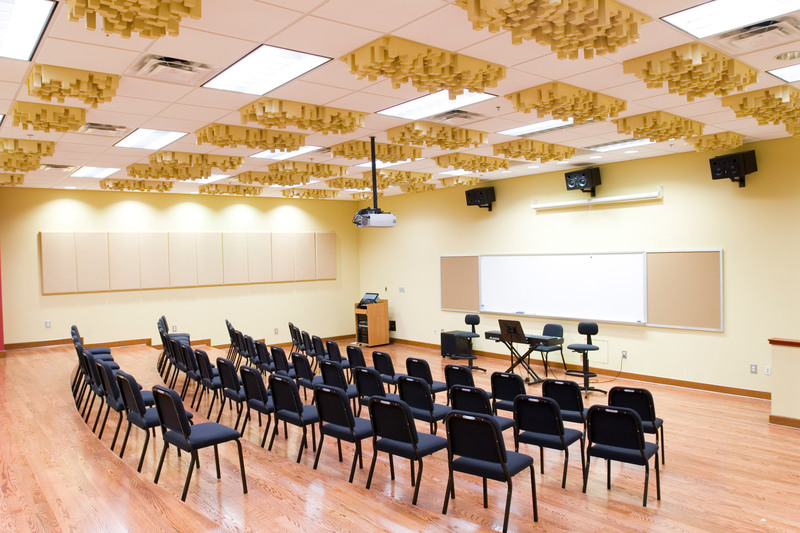 Included in the design are full instrumental training facilities including a choral chamber and orchestral room. 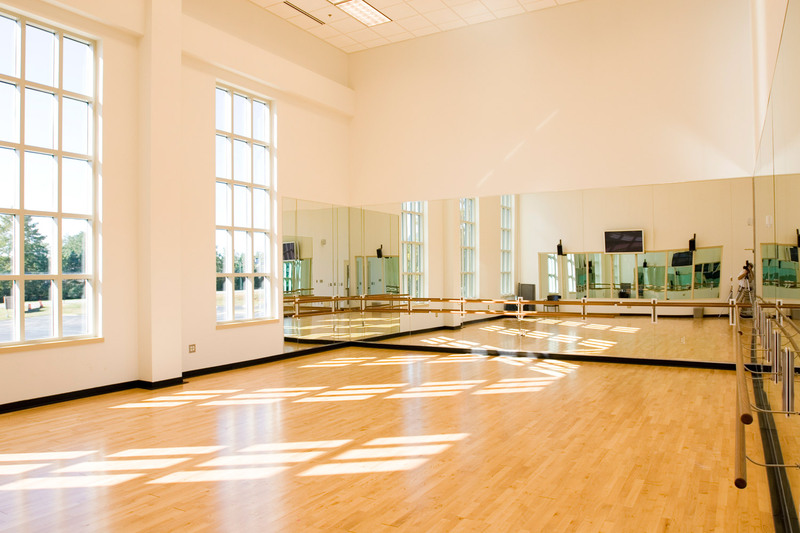 On the main floor, there are also three dance studios, dressing rooms, the main theater, a performance space and a kitchen. 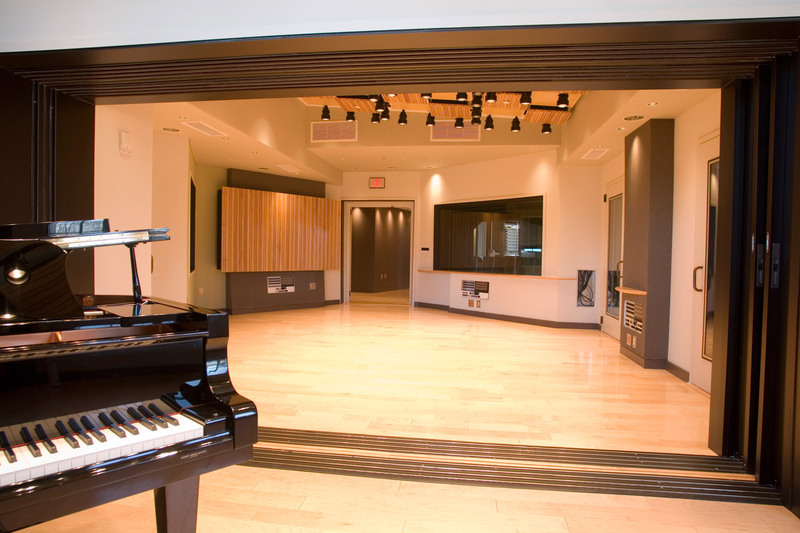 On the third floor, there are video recording studios. 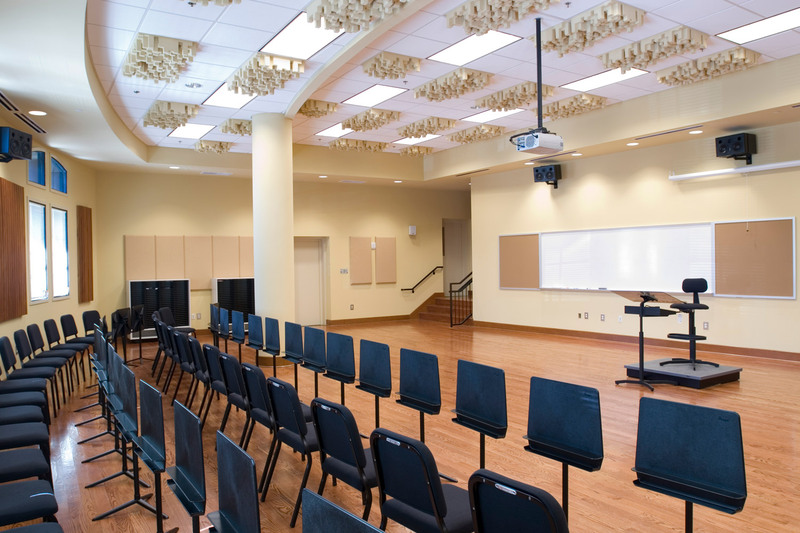 Each of the Center’s components is designed to support the development of the Mount Paran Christian School’s performing arts program, and its dual roles as a multi-faceted campus preparing students for post-secondary degrees in dance, theatre, music, choral and digital media and as a professional-level performance venue. 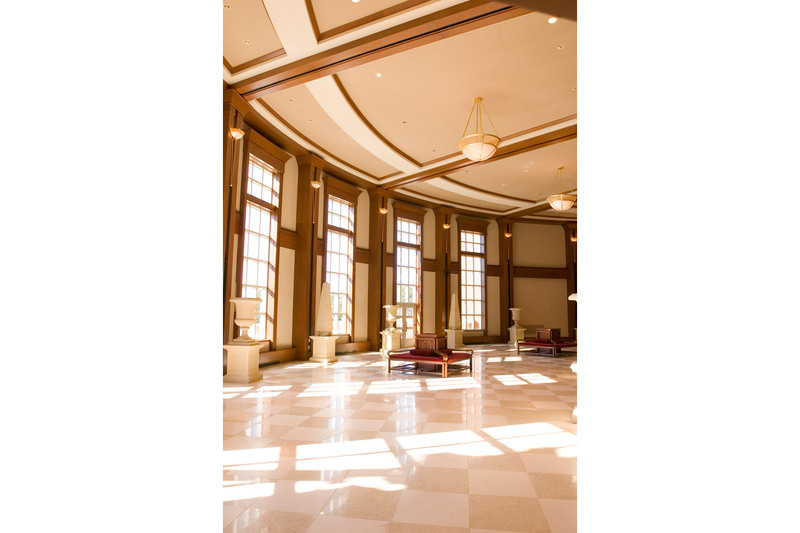 Crowning a pastoral Marietta, hilltop, the striking 84,000 sq. 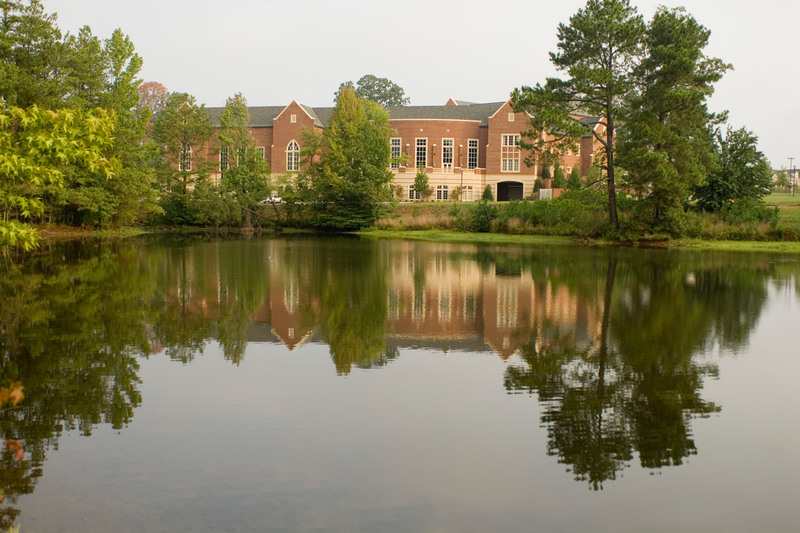 ft .brick and limestone, multi-level building was developed by award-winning Atlanta-based Randall-Paulson Architects. Distinguished by a soaring 5,600 sq. 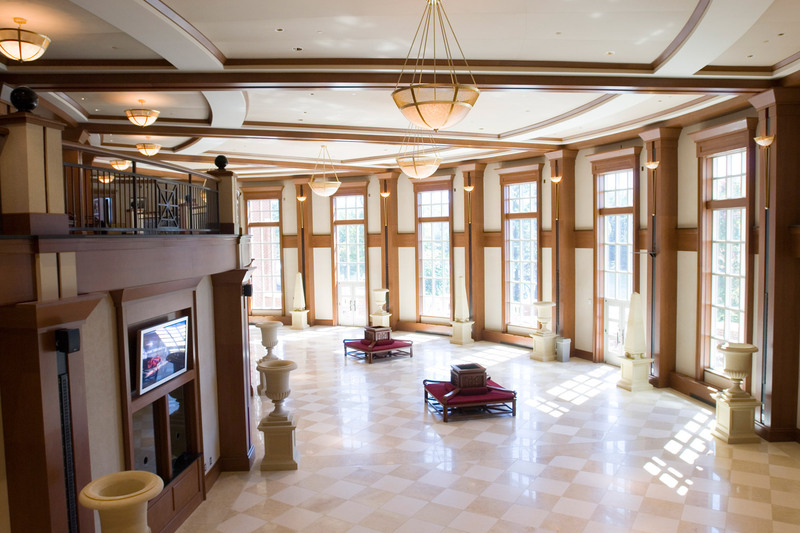 ft. ‘Grand Lobby’ the complex includes 8,000+ sq. 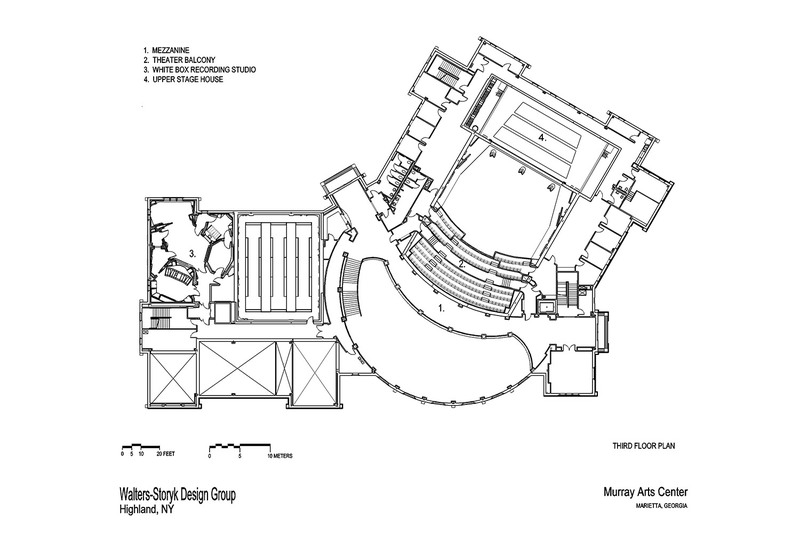 ft. of rehearsal space, dressing and green rooms. 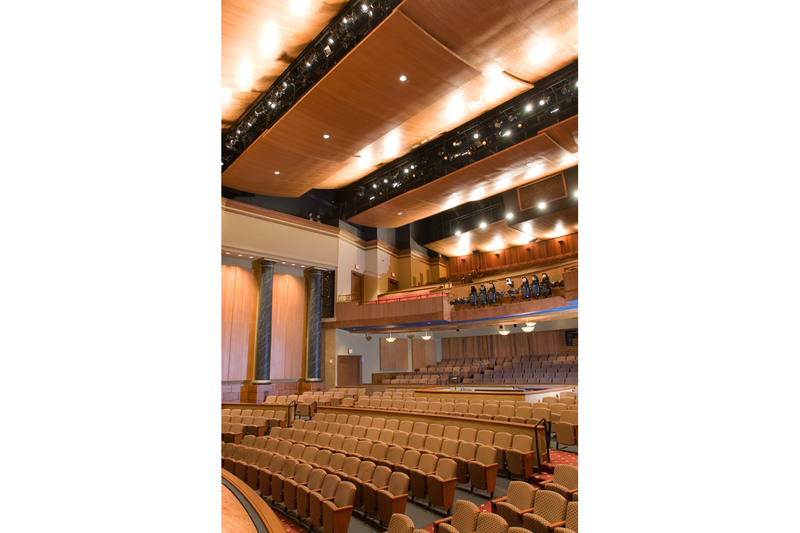 The architectural and acoustic design for the Center’s theatrical performance spaces, state-of-the-art rehearsal rooms and high-tech audio/video facilities was entrusted to New York’s Walters-Storyk Design Group. 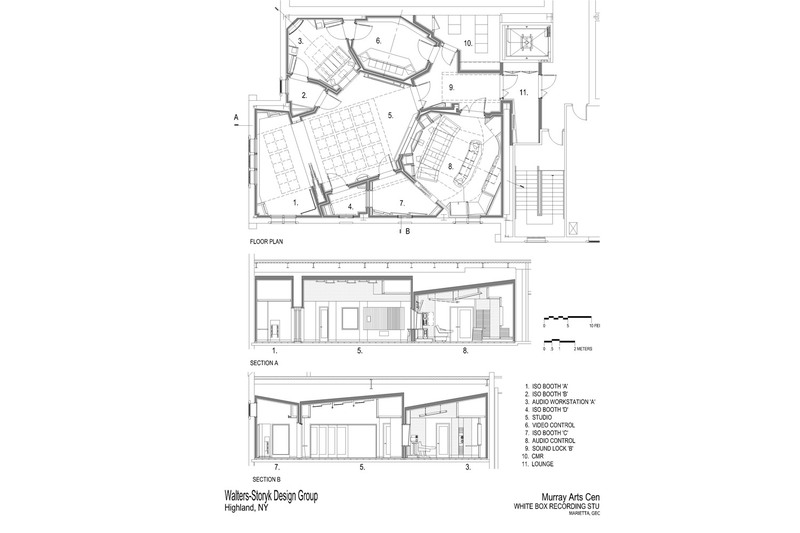 Design and fabrication was a joint effort of WSDG’s Gabe Hauser and RPG’s Peter D’Antonio. 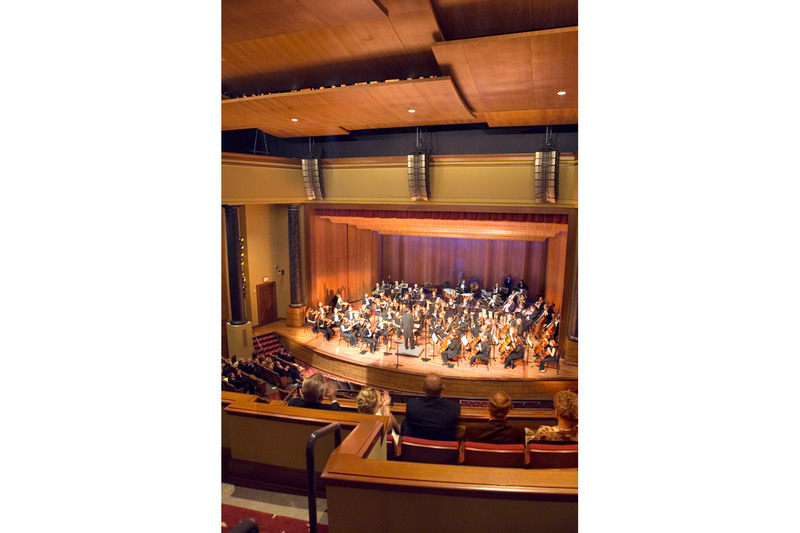 Sixteen-foot high variable acoustic wood doors fixed to the sides of the theater allow the performance space to be easily changed from a symphony hall into a sound reinforced concert hall or a state of the art surround sound cinema. 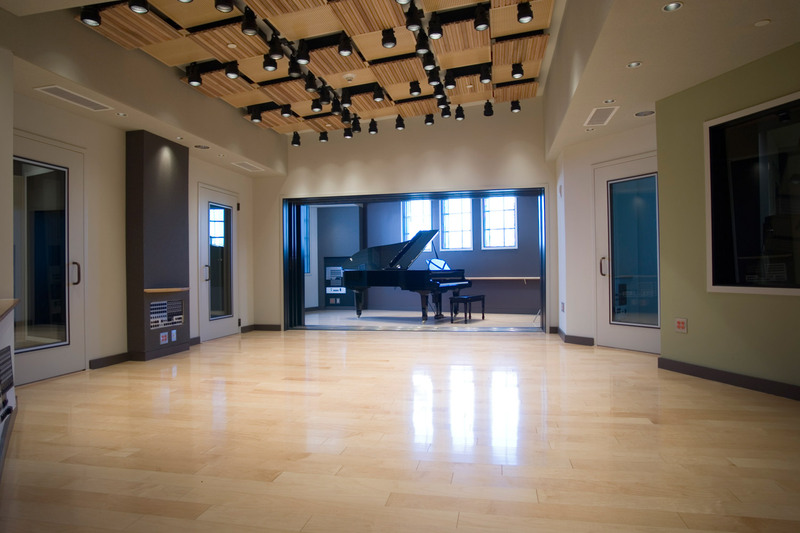 Capable of producing professional-quality CD, video and DVD programming, the Center’s recording and video production facilities are distinguished by a formidable arsenal of technology. The “crown jewel” of the audio wing is a vintage SSL 9080 recording console originally owned by NYC’s fabled Hit Factory Recording Studio. 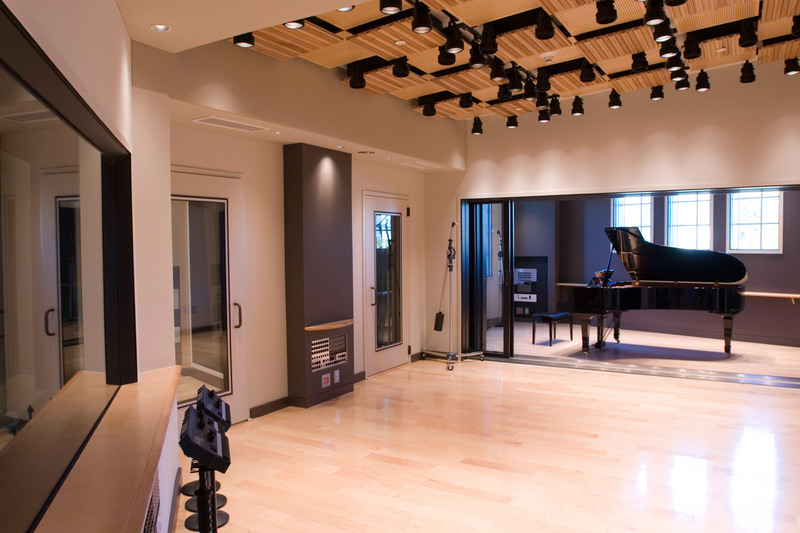 The console and various pieces of vintage audio gear were obtained for the Murray Arts Center by Dave Malekpour and his Boston-based Professional Audio Design team. 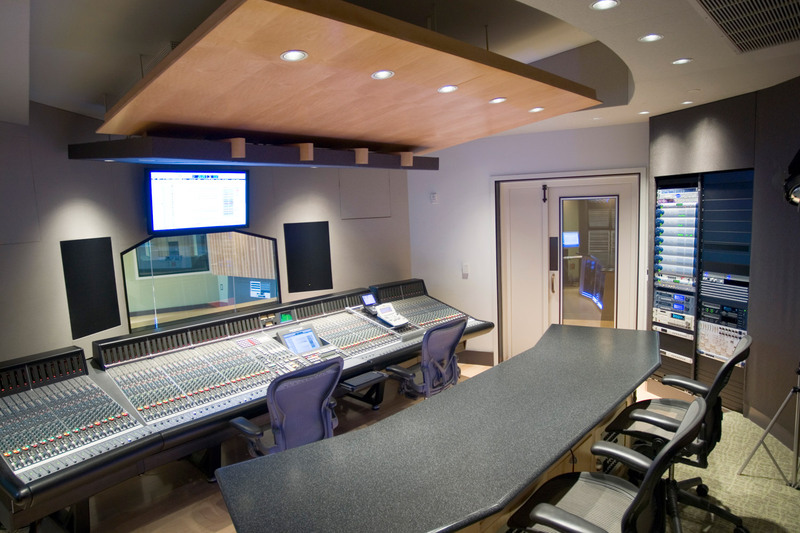 PAD was also responsible for fine tuning the console prior to delivery and for the on-site commissioning of the SSL. 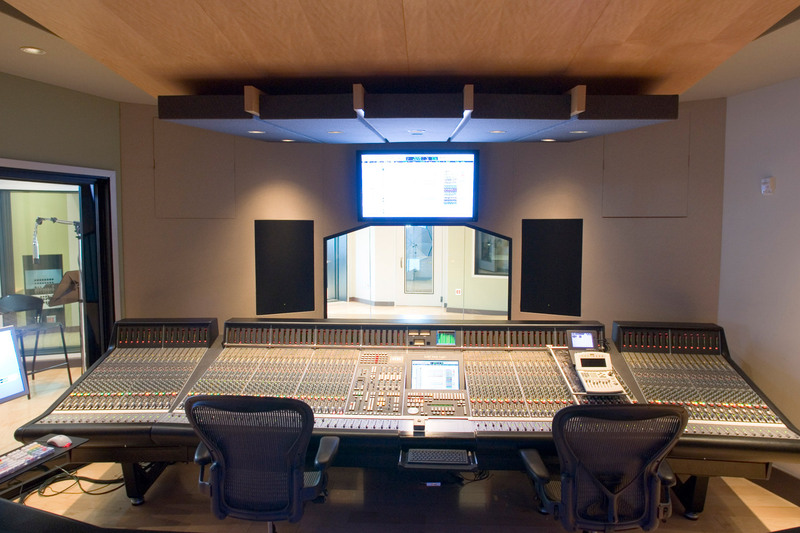 The SSL XL 9080 K Series SuperAnalogue™ console became an immediate hit with MPCS students when they learned it had played an essential role in the recording of countless Gold and Platinum records. Other key pieces of equipment include an SSL AWS 900 + Analogue Workstation System and two SSL C200 digital production consoles. These essential tools provide the Center with the potential to make a major impact on the community both as a source for live entertainment and a center of learning. Read feature in Technologies for Workship.